This prospectus should include a resume of your background, your education, training, experience and any other personal qualities that might be counted as an asset to your potential success. It's also a good idea to list the various loans you've had in the past, what they were for, and your history in paying them off. You'll have to explain in detail how the money you want is going to be used. If it's for an existing business, you'll need a profit and loss record for at least the preceding six months, and a plan showing how this additional money will produce greater profits. If it's a new business, you'll have to show your proposed business plan, your marketing research and projected costs, as well as anticipated income figures, with a summary for each year, over at least a three year period. It'll be advantageous to you to base your cost estimates high, and your income projections on minimal returns. This will enable you to "ride through" those extreme "ups and downs" inherent in any beginning business. You should also describe what makes your business unique---how it differs form your competition and the opportunities for expansion or secondary products. This prospectus will have to state precisely what you're offering the investor in return for the use of his money. He'll want to know the percentage of interest you're willing to pay, and whether monthly, quarterly or on an annual basis. Are you offering a certain percentage of the profits? A percentage of the business? A seat on your board of directors? Venture investors are usually quite familiar with "high risk" proposals, yet they all want to minimize that risk as much as possible. Therefore, your prospectus should include a listing of your business and personal assets with documentation---usually copies of your tax returns for the past three years or more. Your prospective investor may not know anything about you or your business, but if he wants to know, he can pick up his telephone and know everything there is to know within 24 hours. The point here is, don't ever try to "con" a potential investor. Be honest with him. Lay all the facts on the table for him. In most cases, if you've got a good idea and you've done your homework properly, an "interested investor" will understand your position and offer more help than you dared to ask. As simple as it seems, one of the easiest ways of raising money is by advertising in a newspaper or a national publication featuring such ads. Your ad should state the amount of money you want--always ask for more money than you have room for negotiating. Your ad should also state the type of business involved ( to separate the curious from the truly interested), and the kind of return you're promising on the investment. Take a page from the party plan merchandisers. Set up a party and invite your friends over. Explain your business plan, the profit potential, and how much you need. Give them each a copy of your prospectus and ask that they pledge a thousand dollars as a non-participating partner in your business. Check with the current tax and investment regulations. You may be allowed up to 25 partners in Sub Chapter S enterprises, opening the door for anyone to gather a group of friends around himself with something to offer them in return for their assistance in capitalizing his business. You may also be able to issue and sell up to $300,000 worth of stock in your company without going through the Federal Trade Commission. You'll need the help of an attorney to do this, however, and of course a good tax accountant as well wouldn't hurt. It's always a good idea to have an attorney and an accountant help you make up your business prospectus. As you explain your plan to them, and ask for their advice, casually ask them if they'd mind letting you know of, or steer your way any potential investors they might happen to meet. Do the same with your banker. Give him a copy of your prospectus and ask him if he'd look it over and offer any suggestions for improving it, and of course, let you know of any potential investors. In either case, it's always a good idea to let them know you're willing to pay a "finder's fee" if you can be directed to the right investor. Professional people such as doctors and dentists are known to have a tendency to join occupational investment groups. The next time you talk with your doctor or dentist, give him a prospectus and explain your plan. He may want to invest on his own or perhaps set up an appointment for you to talk with the manager of his investment group. Either way, you win because when you're looking for money, it's essential that you get the word out as many potential investors as possible. Industrial banks are usually much more amenable to making business loans than regular banks, so be sure to check out these institutions in your area. insurance companies are prime sources of long term business capital, but each company varies its policies regarding the type of business it will consider. Check your local agent for the name and address of the person to contact. It's also quite possible to get the directors of another company to invest in your business. Look for a company that can benefit from your product or service. Also, be sure to check at your public library for available foundation grants. These can be the final answer to all your money needs if your business is perceived to be related to the objectives and activities of the foundation. There are many very good money brokers, and there are some that are not so good. They all take a percentage of the gross amount that's finally procured for your needs. The important thing is to check them out fully; find out about the successful loans or investment plans they've arranged, and what kind of investor contacts they have---all of this before you put up any front money or pay any retainer fees. Start thinking about the idea of inviting investors to share in your business as silent partners. 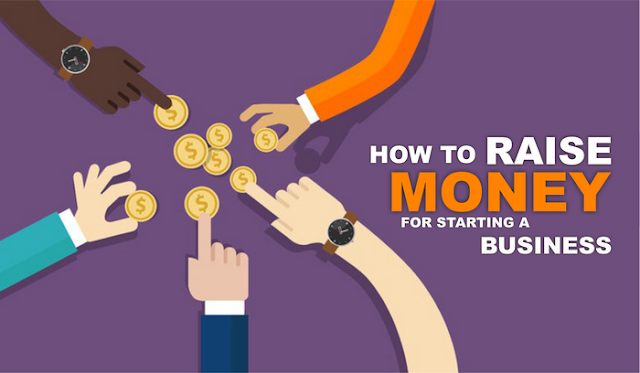 Think about the idea of obtaining financing for a primary business by arranging financing for another business that will support the start-up, establishment and developing of the primary business. Consider the feasibility of merging with a company that's already organized, and with facilities that are compatible or related to your needs. Give some thought to the possibilities of getting the people supplying your production equipment to co-sign the loan you need for start-up capital. Disregard the stories you hear of "tight money," and start making phone calls, talking to people, and making appointments to discuss your plans with the people who have money invest. There's more money now than there's ever been for a new business investment. The problem is that most beginning "business builders" don't know what to believe or which way to turn for help. They tend to believe the stories of "tight money," and they set aside their plans for a business of their own until a time when start-up money might be easier to find.